So a year later can we say that commercial service is anywhere on the horizon? 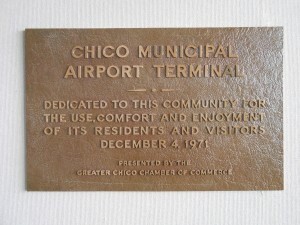 The Chico airport is a sad place. Were it not for Hertz’s continued presence the doors would be permanently locked and the terminal absolutely lifeless. A perpetually silent ticket counter. Recapping the twists and turns leading up to United Express/SkyWest’s cessation of service and since then would take too long and can be found elsewhere in Enterprise-Record articles. If it’s a subject that already interests you then you probably know most of the story. 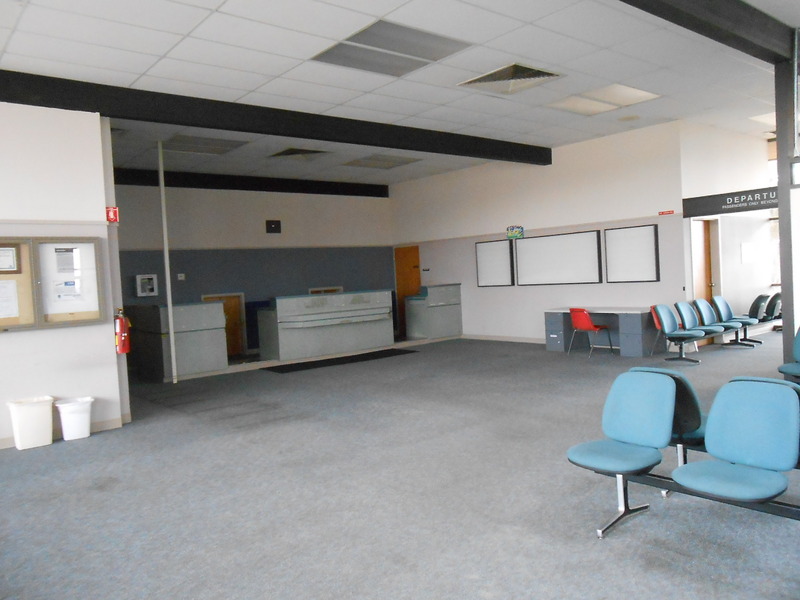 After the management proposal from AvPORTS was voted down by the City Council on 17 November, City Manager Mark Orme was directed to return to the Council with alternatives. Presumably (and I hope) Orme will come back to the Council with a proposal and funding for a new City-employed airport manager. While the AvPORTS proposal was widely panned for being too expensive, virtually everyone who spoke in opposition to it also appeared to support the City directly employing an airport manager. No one sees Jake Early’s Chico prints upon arrival in Chico anymore. 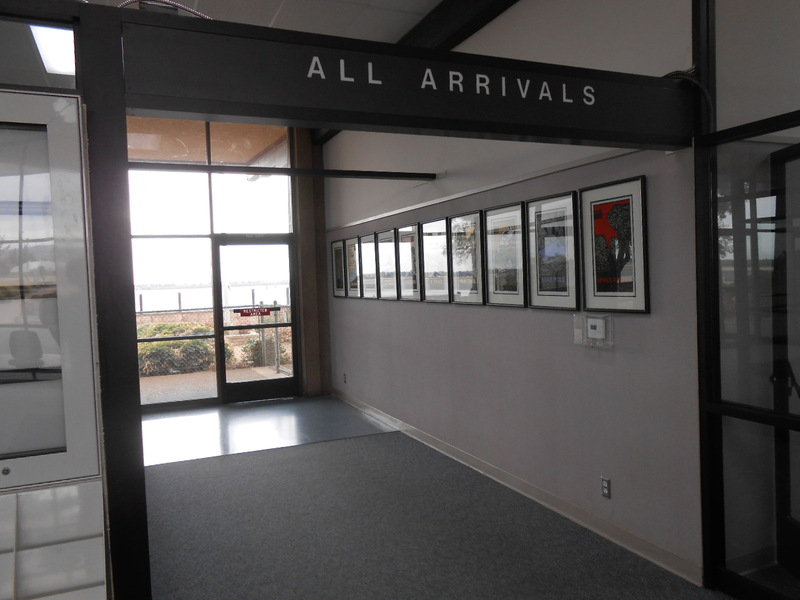 As I’ve said to the Council several times and written about in the “Air Service in Chico” blog series, having an airport manager is indispensable to changing the direction of the airport. An asset as significant as an airport requires a person dedicated to that role, who is accountable, and who is passionate about it. Rod Dinger, Redding’s now retired airport manager was the man whom AvPORTS would have tapped to be the Chico airport manager. Since it appears that we can’t have Rod Dinger without having AvPORTS then the person chosen for the job should be a lot like Rod: knowledgeable, experienced, and thoroughly consumed by the mission. And preferably with experience at another airport with commercial air service. I realize that the swirl of issues around the airport is a lot more than just commercial air service and includes general aviation, the FBO (fixed base operator of aviation services), real estate development, and more. But unless the City makes a conscious decision that Chico’s days of having commercial service are over and there will be no pursuit of airlines, then the person hired should have some background in working with commercial carriers. And what about commercial service? The TSA’s former holding area. 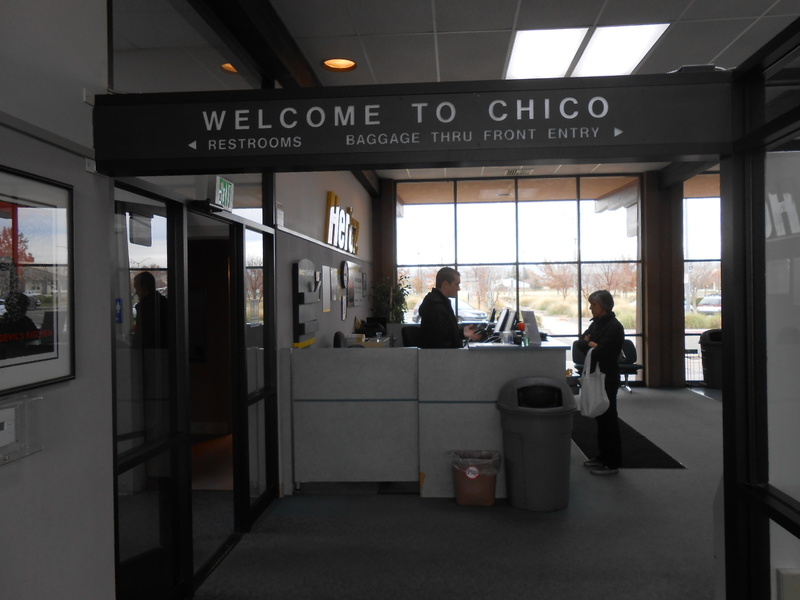 Should Chico give it up and accept that Sacramento is our default airport? Or do we recognize that air service is necessary for economic development, and roll up our sleeves for the long term project of bringing airlines back? First off, those who say that Chico will never carry much traffic are ignoring or forgetting that in 2000 when there were six United Express flights daily except Saturday (180 seats out and 180 seats in) more than 20% of the passengers originating in Chico’s catchment area flew in and out of Chico. 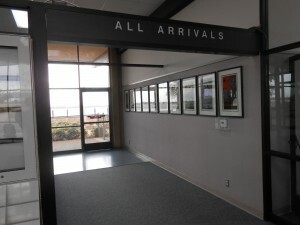 Secondly, Santa Rosa, the city we like to look at for inspiration, went from zero flights between October 2001 and March 2007, to what in March 2016 will be 49 weekly flights to LAX, San Diego, Orange County, Portland, and Seattle on just one airline: Alaska Airlines’ Horizon Air subsidiary. The airport still bleeds plenty of traffic to San Francisco and Oakland, but they carry healthy and growing passenger loads from Santa Rosa. At some point they expect to get eastbound regional jet service to Phoenix (American), Denver (United), or Salt Lake City (Delta). Third, in the Chico Chamber of Commerce’s survey about air service conducted late last year nearly 25% of businesses already located in Chico stated that the loss of air service was either a critical issue (9.3%) or an obstacle (15.5%). 51.6% reported that it was either a minor inconvenience or not an issue at all. While some might take comfort that half of the existing businesses didn’t think the loss of air service was important, the fact that 25% felt that it was critical or significant should raise an alarm. Perhaps more important are the businesses who aren’t here but might consider Chico. 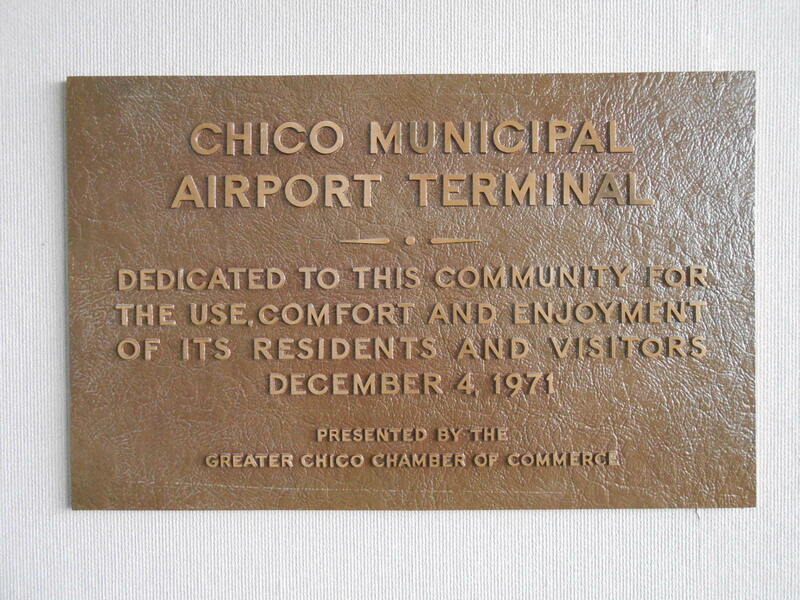 No one can quantify how many businesses would reject Chico because it doesn’t have its own air service, but for anyone to say that some companies or individuals wouldn’t reject Chico out of hand because it lacks an airline is flat out wrong. For those who travel frequently on business the idea of relocating to a city from which every business trip must begin and end with a minimum hour and a half drive on a not very safe highway could easily be a deal breaker. But there’s no one here to welcome to Chico. Chico is a nice place but it’s not the only nice place. But it’s now a nice place from where it is impossible to fly anywhere without a long drive. Looking at other medium size cities with California State University campuses we see Arcata/Eureka (Humboldt State), Santa Rosa (Sonoma State), Monterey (Cal State Monterey Bay), and San Luis Obispo (Cal Poly) all with active commercial airports. In fact, Chico State will share with Cal State Stanislaus the dubious distinction of being the CSU campuses the furthest away from commercial air service. Will this hurt Chico State’s efforts at recruiting students? It certainly won’t help, especially with foreign students. Of course, no one who advocates for commercial air service can cite specific numbers of businesses that would come here if we had airline service. But a city that doesn’t have its own air service will fail the test for some companies and individuals for whom that’s a requirement, not a nice-to-have. It might even fail the test with some enterprises that are already here when they consider expanding locally. Doesn’t Chico want to be able to make the best possible case to every prospective business seeking to grow or relocate here? Isn’t that worth some time, money, and dedication? Previous post End of an era, now what? You are spot on! I lived in Santa Rosa when it was “just to LA” and I now live in SLO where I am watching the slow decline just like when I lived in Chico. Having a carrier who only serves LA and SF is a recipe for disaster. I traveled for business frequently from Chico but as they kept canceling and then reducing flights I couldn’t count on making connections and being where I needed to be so Sac was it. I believe in my heart the carriers are ok with this because they KNOW we will fly, we will just fly out of Sac. Or, now that I am in SLO, its “easier” to just drive (though now its a 3 hour trek) to get to LA or SF. Communities MUST invest if they want viable air service and attract carriers that will serve major hubs outside of LA and SF. 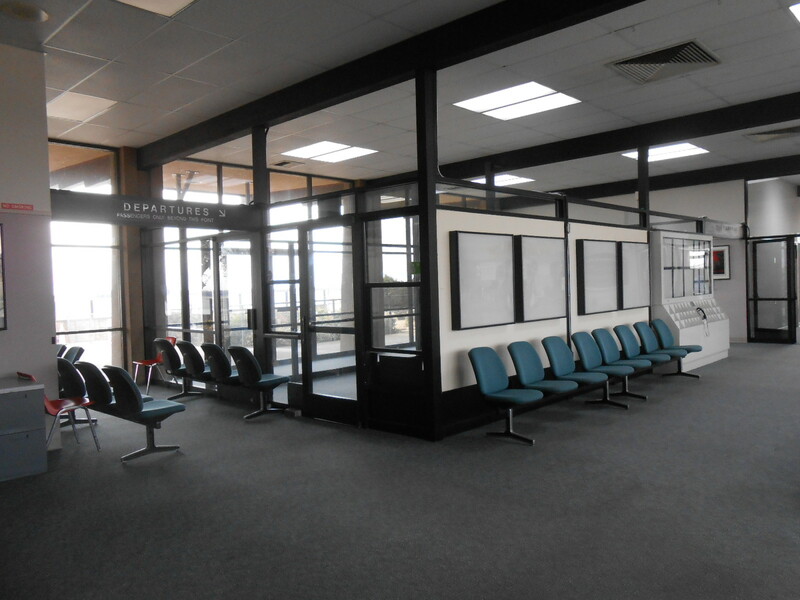 Santa Rosa has grown because travelers can get to other destinations and count on those flights.